Cold Steel Magnum Tanto XII 13MBXII. 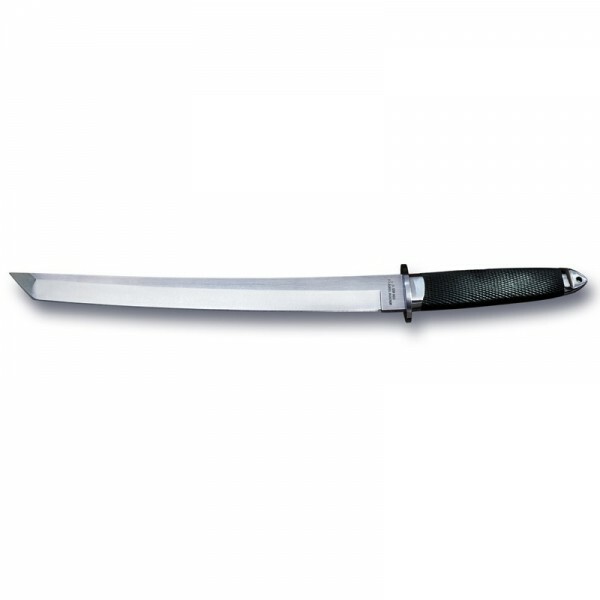 3/16 Inches - Weight: 14.2 ounces - Steel: San Mai III, Mfg No: 13MBXII, Manufacturer: Cold Steel. 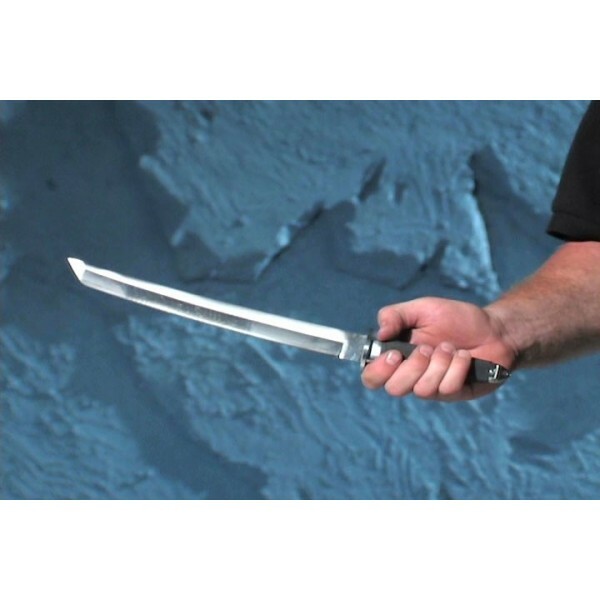 These were created in response to popular demand for a longer Tanto. They are available in nine inch and twelve inch blade lengths in our exclusive VG-1 San Mai III® blade. What is San Mai III® blade? A simple way to think of San Mai III® blade is to imagine a sandwich: The meat center is hard, high carbon steel and the pieces of bread on either side are the lower-carbon, tough side panels. The edge of the blade should be hard to maximize edge holding ability, but if the entire blade was hard it could be damaged during the rigors of battle. For ultimate toughness the body of the blade must be able to withstand impact and lateral stresses. Toughness is generally associated with "softness" and "flexibility" in steel, so that, surprisingly, if a blade is made "tough" the edge won’t be hard enough to offer superior edge holding. San Mai III® blade construction provides a blade with hard (higher carbon) steel in the middle for a keen, long lasting edge and tougher (lower-carbon) steel along the sides for flexibility. If you click on the picture at right, you will be able to see a fine line just above the edge of the blade. This is the San Mai III® blade lamination line. It marks the junction between two types of steel.